governing and Presidential administrative policy"
(UH Board of Regents Policy 1-10). "The vice chancellors are key members of the chancellor’s executive leadership team and are charged with providing leadership and coordination on behalf of the University of Hawai‘i at Hilo in the specific area of assignment (e.g., academic affairs, administrative services, research, student affairs, etc.). . . . As an executive staff member, the vice chancellor provides innovative leadership in developing, designing, facilitating and implementing campus plans, initiatives, policies and procedures in the respective area of assignment . . . ."
"As the senior manager for the college, the Dean is the lead facilitator and coordinator of the academic, curricular, research and service programs and is responsible for all administrative matters, including human resources management, space utilization, financial management, and budget planning and execution for the respective area of responsibility"
The role of the college deans in curriculum development can be seen in UH Hilo's flowchart on the curriculum review process. Likewise, their role in policy development is shown in the flowchart on academic policy proposal and modification. The UH Hilo Faculty Congress has the responsibility to speak for the faculty on academic policy matters of concern to more than one unit. The role of the Congress in policy making can be seen in UH Hilo's flowchart on academic policy proposal and modification. The UH Board of Regents recognizes that "The faculty has primary responsibility for such fundamental academic areas as curriculum content, subject matter, and methods of instruction and research. On these matters the power of review and concurrence or final decision lodged in the Board of Regents or delegated to administrative officers should be exercised adversely only in exceptional circumstances and for reasons communicated to the faculty". As shown in UH Hilo's flowchart on its curriculum review process, university-wide faculty review of curricular changes is the responsibility of the Campuswide Curriculum Review Body, which is made up of tenure-track instructional faculty. The chair is a member of and elected by the Faculty Congress. The five degree-granting colleges within UH Hilo are free to determine their own structures and processes for shared governance. All have means for faculty to advise their respective deans on academic matters and other important issues affecting their colleges. The College of Arts and Sciences, by far the largest UH Hilo college, is in the process of revising its internal governance structure. In Spring 2009, a committee of faculty proposed that the CAS faculty senate be eliminated and replaced with two faculty committees, a college curriculum review committee and an academic policy committee. On UH campus- and system-wide issues, the college faculties convey their views to the Chancellor and UH President through the UH Hilo Faculty Congress. The role of the college faculty in curriculum development can be seen in UH Hilo's flowchart on the curriculum review process. Likewise, their role in policy development is shown in the flowchart on academic policy proposal and modification. The Graduate Council is a policy recommending body to the Vice Chancellor of Academic Affairs. The Council is also charged with the authority to certify graduate training personnel who are not full time UH Hilo faculty, determine eligibility of UH Hilo faculty to serve as graduate committee chairs and/or primary academic advisors, and to grant exceptions to graduate admissions standards upon petitions by graduate programs. The role of the Graduate Council in curriculum development can be seen in UH Hilo's flowchart on the curriculum review process. Likewise, the Graduate Council's role in policy development is shown in the flowchart on academic policy proposal and modification. Hawaiʻi Revised Statutes Sec. 304A-105 establishes the responsibilities of the UH Board of Regents (BOR) as "management and control of the general affairs, and exclusive jurisdiction over the internal structure, management, and operation of the university." "The Board of Regents has the ultimate responsibility for the governance of the University and the formulation of policies which guide and determine its affairs. In carrying out these ultimate responsibilities, the Board entrusts and delegates various functions to members of the University community and various organizational levels. Unless specifically delegated or entrusted to others, all governing authority resides with the Board". Board or its designee(s)" . 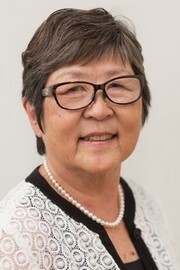 This body was instituted "to provide a formal, independent voice and organization through which the faculty of the University of Hawaiʻi System can participate in the development and interpretation of system-wide policy, and to promote and improve coordination, communication, and understanding among the faculty, students, community, administration, and Board of Regents. "(ACCFSC Charter ). Membership consists of one senate chair from each of the faculty senates or equivalent faculty governance organizations from each campus, school and college of the UH System.